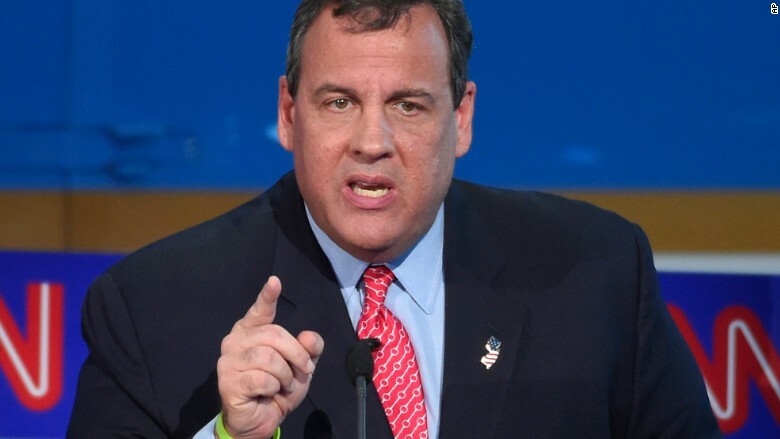 Chris Christie is turning his firepower on one of his most vocal critics: His hometown paper. In conversations with donors Wednesday morning, the GOP presidential hopeful slammed The Star-Ledger as "a liberal rag" and encouraged supporters to cancel their subscriptions, according to a report from CBS News. "I don't know why you were reading it or why you care," Christie reportedly told one donor who asked about one of the paper's recent editorials. "The Star Ledger is like my crazy ex-girlfriend who broke with me and is now running around town saying I am an awful person." "Do yourselves a favor and cancel your Star Ledger subscription and restore your sanity," Christie told donors. Christie appeared to echo a comment made by the Grant Bosse, the editorial page editor of New Hampshire's Union-Leader newspaper, which endorsed Christie for the Republican presidential nomination earlier this week. After the Star-Ledger criticized the endorsement, Bosse said on MSNBC Tuesday night that the New Jersey newspaper was acting like a "crazy ex-girlfriend." "They dated him in 2013, broke up with him last year and now goes around town bad mouthing anyone he takes out to dinner," Bosse said. @DylanByers @CNN "Appears to echo"? C'mon, man. That's straight up analogy theft! In an editorial Wednesday, Star-Ledger editorial page editor Tom Moran conceded the paper endorsed Christie for reelection in 2013. "Endorsements, sadly, usually boil down to picking the less bad candidate," Moran wrote. He added, "Yes, we have soured on the man." "Crazy ex-girlfriend? No, from the deepest corner of my soul, I can testify that this was never about love," he wrote. This was not Moran's first hit on Christie. In June, he wrote a column faulting the governor for a "catalog of lies." In October, he celebrated Christie's sagging poll numbers, noting it seemed certain the governor would "not be sitting in the Oval Office. Which is nice."